My kitchen today. I can't wait for the demo to begin! This is how my kitchen looks today. Outdated, for sure. CH & I talked for years about what we wanted to do when we remodeled. We went back & forth several times about what we would do when we decided to bite the bullet and do it. When we bought the house almost 13 years ago, we knew it was a fixer-upper. The kitchen is the last major thing we need to do inside. 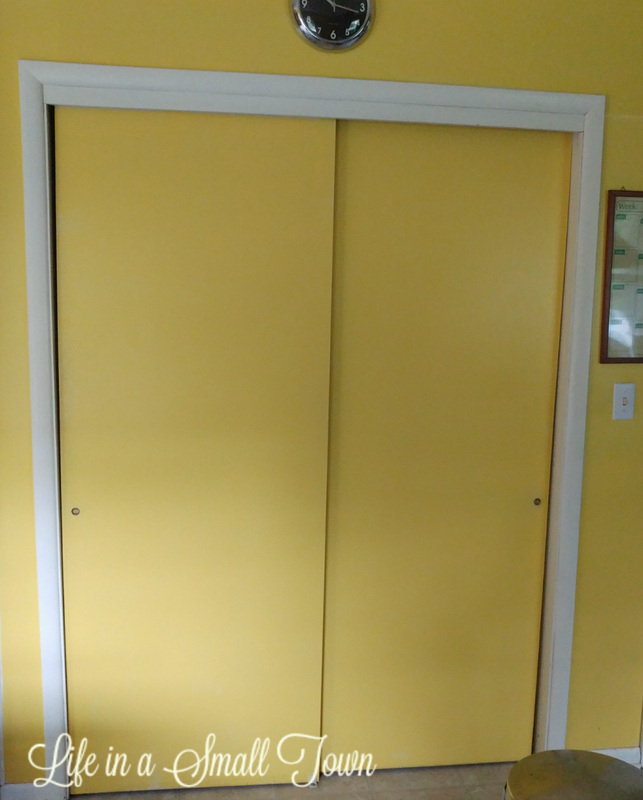 I haven't liked the doors from day one. This is the inspiration. 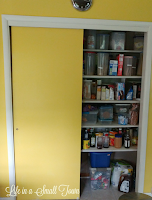 The right side of the pantry will have 3 drawers and a cabinet; the other side will be 2 cabinets. 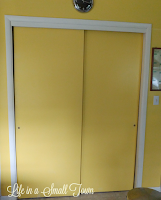 (The doors won't have the storage in them; they'll just be doors.) The white door frame will be gone; it will be framed in the same wood as the cabinets so it will look built-in. I was able to get on the cabinet manufacturer's website to watch the progress. When I checked yesterday, I was excited to see that they were being made; then, today, I get a phone call to schedule delivery. Looks like June 7 is the day! With this weekend being Memorial Day Weekend, there should be sales going on, so I hope to buy my range and hood, and get maybe get some tile for the backsplash chosen, if not bought. I've pinned all of my "bells and whistles" on a Pinterest Board, so if you're interested, click here. Come back next Thursday for the next "State of the Kitchen"! 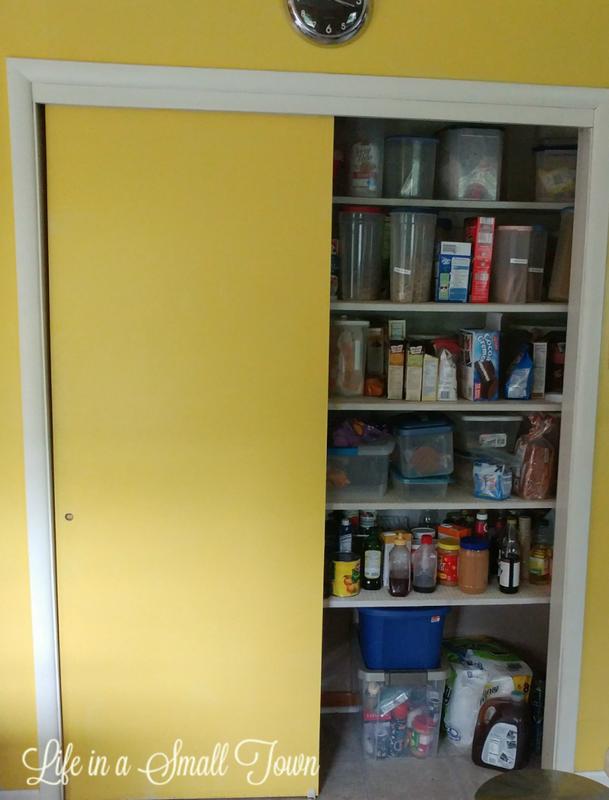 Love that pantry so much. Love some of the other ideas on your Pinterest too. Hope all goes smoothly and I can't wait to see the finished product. Cant wait to see it all come together. 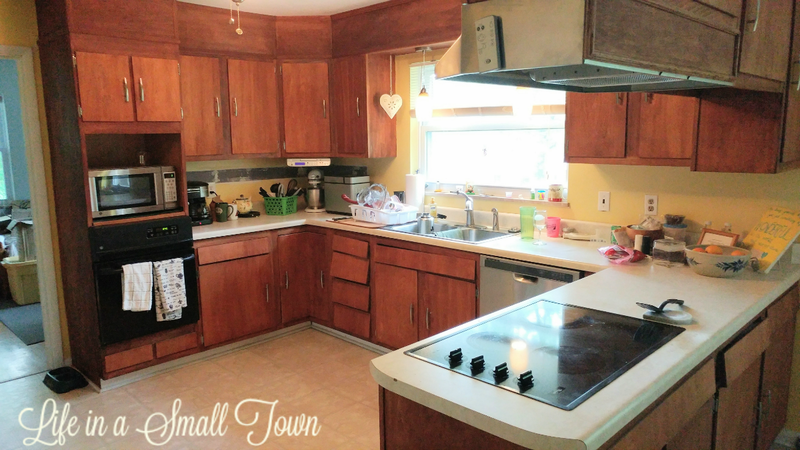 I so badly want to redo my kitchen. 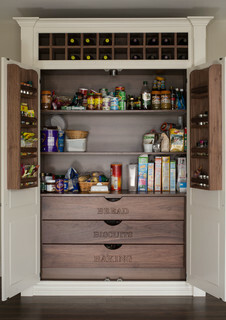 Love the pantry. Can't wait to see what you do. It will not be fun but remember that this is temporary chaos. I was angry with Mark for wanting to put in new flooring because company was coming. We were already putting in carpeting in the front two bedrooms. It has given me more days of cleaning because of the mess they make installing laminate flooring. However the finished work is gorgeous. 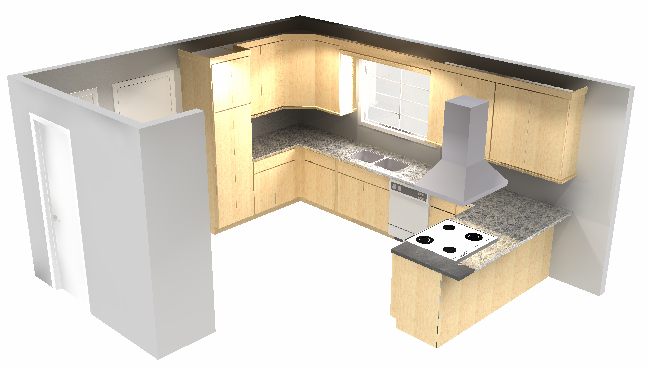 Your going to love your new kitchen! How cool!!! I love renovation posts. Looking forward to following it!